Why Choose Crossbank for your Implant Treatment? Choosing the right dental practice and the right team to take care of your implant treatment is the first step towards your new smile. Whether you’re choosing to have implants to replace a denture that’s been restricting your enjoyment of food, or so that you know you can smile confidently again in photographs we know we can help and our primary focus will always be on giving you the smile and function that you wish for. We have a passion for dental implants and provide implant treatments for patients repeatedly, consistently and successfully. 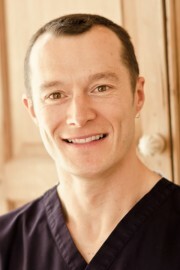 Neil Cooper is our knowledgable and highly trained implant dentist and focuses his practice solely on implant dentistry. His vast experience and predictable techniques mean that over 70 dentists now refer their patients to Neil for their implant work. Coupled with the environment that Neil has created at Crossbank plus his friendly, warm and highly educated team, you can begin to understand the Crossbank difference. With all the technology on-site including a CT Scanner, every step of your treatment can be carried out here.